Mr Kobina Eric Nyanteh is a highly driven visionary who leads Translight Solar Limited headquartered in Ghana. 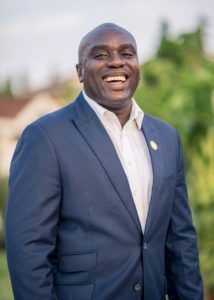 For about twenty years, Mr.Nyanteh has designed, implemented and managed huge Information Technology (IT) networks such as that of the Maryland Department of Transportation (MDOT) in the United States. Due to his extensive work in IT – troubleshooting and implementing solutions, he gained a knack for problem solving. His first rate skills in defining solutions led him to the design and implementation of the National Institutes of Health’s (NIH’s) next generation state-of-the-art network infrastructure.